If like me, the name Porcaro sounds familiar because you grew up listening to great music where this name was very often involved in, you will be pleased to discover this movie project launched by Steve and Chris Duddy dedicated to the Porcaro family, "Porcaro, A band Of Brothers". Discover & join "Porcaro, A band Of Brothers" HERE! We are very sad to announce that legendary Larry Hoppen (from the band Orleans) has just passed away. For those like us who had had the chance to communicate with Larry for so many years, to do 3 interviews with him, to discuss with him a lot, we can tell how he was not only an amazing artist but also a great person. RIP and condolences for the family. Here are some of the latest pics we have taken of Larry Hoppen during Orleans concert in Amsterdam, October 26, 2011. Pics taken by J.-L. Raymond. "Larry Hoppen, one of the founding members of the band Orleans, passed away on July 24th, 2012. Born on Long Island, New York, Hoppen was 61 years old. Between 1969 and 1971, his Ithaca, NY- based band, Boffalongo, made two LPs for United Artists. The second included the original recording of "Dancin' in the Moonlight", later a hit by friends King Harvest. Soon after Boffalongo disbanded in late 1971, Larry got a call from (former US Congressman, D-NY, 19) John Hall, inviting him to come to Woodstock, NY to join with the late Wells Kelly and John to form Orleans which he did in early 1972. Larry's younger brother, Lance, joined the band the following fall. Tens of millions know Larry's uplifting tenor from the Orleans hits "Still the One", "Dance With Me" and "Love Takes Time". Larry Hoppen also performed and/or recorded with Jackson Browne, Bonnie Raitt, Livingston Taylor, Lulu, Graham Parker, Blues Traveler, Ricky Skaggs, Steve Wariner, Michael Franks, Levon Helm, the late great Michael Brecker, the late great Chet Atkins, the late great Artie Traum, John Sebastian, Bela Fleck, Felix Cavaliere, Edgar Winter, Robbie Dupree, Spencer Davis, Rick Derringer, Mark Farner, John Ford Coley, Jimi Jamison, John Cafferty and many more notable artists. Larry Hoppen released 2 solo albums: "HandMade" and "Looking for the Light", the latter being a flagship fundraising vehicle for his 501(c)3 nonprofit Sunshine for HIV Kids. Larry Hoppen was still touring with Orleans, including brother Lance and youngest brother Lane, and was scheduled to appear on Fox TV's nationwide "Fox & Friends' All-American Concert Series" show this coming Friday, July 27th. He is survived by his wife, Patricia Smith Hoppen and his daughters, Claire and Maeve, as well as his bothers, Lance and Lane and his sister, Lynda. The Family asks that since Larry passion was feeding hungry people, his friends and fans can honor his memory by making a contribution to their local food bank in his name. Patricia Smith Hoppen and her daughters ask the media to please respect their privacy at this difficult time." Doobie Brothers drummer Michael Hossack passed away at age 65. He died of cancer this monday at home in Dubois, Wyoming. Michael Hossack has joined The Doobie Brothers in 1971/1972 as a drummer nearly the beginning of the band. "Doobie Brothers drummer Michael Hossack passed away yesterday in Dubois, Wyoming, at the age of 65. His family was by his side. Our thoughts and condolences go out to his family and loved ones. We will miss him greatly." Also, the Doobie Brothers official website has published a biography about his career: Doobie Brothers Longtime Drummer Mike Hossack Passes Away After Battle With Cancer. Photo : The Doobie Brothers (2012). Copyright : Official website. Michael Hossack was sitting on a chair. Atelier "Créer sa bibliothèque numérique personnelle"
qu'est-ce qye la socologie des medias ? Producteurs : comment on fait ? : Proposer des ressources numériques en bibliothèque ( BDP-BM) : guide pratique : Comment les choisir ? Comment mettre en place ce service ? Quels sont les retours d'expérience ? Où trouver des informations ? dans leur stratégie de recrutement ? Kenny Edwards passed away. We have just learnt the death of Kenny Edwards, legendary talented artist. A very sad piece of news. RIP. "Dear Friends, Kenny passed peacefully at around 5:30pm August 18th surrounded by love. Your words, thoughts, generosity, & kindness eased his transition. He was grateful for the love he was shown. Please check back for news about services and a memorial. We will be posting information soon." Kenny Edwards had been battling prostate cancer and more recently thrombotic thrombocytopenic purpura, a life-threatening blood disorder. A memorial concert will take place at Zoeys Cafe in Ventura, CA (185 East Santa Clara Street, Ventura CA 93001) - Sunday August 22nd at 7pm 805-652-1137 (Make reservations asap - this is an intimate venue that Kenny loved) featuring Glen Phillips, Perla Batalla, Kate Shorr, Kiki Ebsen, Suzanne Paris, Sally Jaye, Jamie Drake, Justine Bennett, Erika and Brent Harding with Bill Flores, Joey Ryan and Kenneth Pattengale and other music friends. 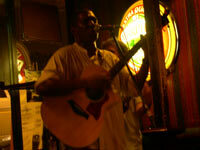 Kenny Edwards has had an amazing music career and was vocalist but also played guitar, bass, mandolin and harmonica. born February 10, 1946, he was a founding member of The Stone Poneys and a long time collaborator with both Linda Ronstadt and Karla Bonoff. He also was an active member of the band BRYNDLE (with Karla Bonoff, Andrew Gold & Wendy Waldman). He has recorded 2 solo albums: "Kenny Edwards" (2002) and "Resurrection Road" (released in november 2009). This last LP was in Americana style, lyric driven acoustic music with folky/blues elements. Resurrection Road" was produced by Freddy Koella (Bob Dylan, Francis Cabrel). You can leave tributes on his official Guestbook. We have just had received a very sad piece of news today. 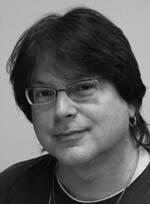 John Simms passed away in September. This artist has evolved in the AOR, MOR, Westcoast Music and R&B vein since the Seventies with his brother Arthur Simms. In The Seventies, John Simms was a member of The Softones. Born in Baltimore (U.S.A.), John Simms was a real talented artist. His father was a Gospel singer with the Spiritual Chords in The 30s and 40s. When he was 20 y.o., John Simms came to Paris (France) with his brother Arthur Simms (singer, piano player). Both were studio musicians in France for major artists. In 1980, they record an eponymous album on Casablanca Records "John and Arthur Simms" which became a Classic Westcoast Music album. With Alec R. Constandinos as a producer and Greg Mathieson as a producer, the Simms Brothers has written and composed all their material for this LP. In Dawnbreaker Studios from San Fernando Valley (California), they gathered great sessIon musicians like Paul Jackson Jr, Steve Gadd, Paulinho Da Costa, Greg Mathieson, Gary Herbig, Jerry Hey, Bill Reichenbach... and Stephanie Sprull, Maxime Willard, Julia Tillman and Gerald Garrett as backing vocalists. From this legendary LP, we love The great song "Not Gonna Let You Slip Away" and "I'm Gonna Miss You". You can listen to these songs and others from John and Arthur Simms at their MySpace pages. Back in the 80s, John and Arthur Simms have worked in smooth Jazz with Michel Jonasz ("La Boite de Jazz") and Pop french singing artists like Robert Charlebois, Eric Serra (Original Motion Picture Soundtrack song from Eric Besson "Subway" with the song "It's only mystery!" sung by Arthur Simms), Catherine Lara... And other artists like Yves Simon, Jacques Dutronc et Chagrin d'Amour! 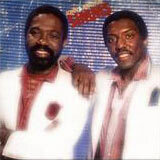 During the 80s, John and Arthur Simms did actors and sang in several french films. Arthur Simms passed away in 1987. At this time and during the nineties, John Simms was backing musician and vocalist here in France. John's wife Brenda Jackson (a.ka. Danielle Rogé) passed away in 2002. 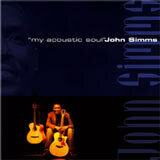 In 2007, John Simms did a great come back with a marvellous Soft Rock and Pop new album called "My Acoustic Soul" and did concerts with his own band in France and in Europe. You can see his live videos on YouTube, listen to his most recent material at his official MySpace page (where it's possible to leave comments) and click on his site Web. John was definitely a great and friendly guy. Picture 1 : John Simms in concert in Paris in August 2007. 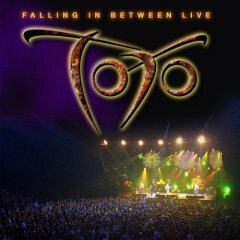 The band’s final CD "Falling In Between" and subsequent tours around the world have been extremely successful and well received and we have probably been more active than ever in the band’s lifespan. We managed to capture the last tour on a wonderful DVD ("Falling In Between Live") of which we are tremendously proud, and we all feel the time is right to disband and finish on a high. If it were not for our loyal fans who have stuck with us through all of the ups and downs we would not have been able to have continued for as long as we did. We would like to thank all our fans all over the world who have continued to support us and we will all be very busy with our own individual projects so we hope to see many of you in the future." What a sad piece of news! Kurt Howell's experience as a Recording Artist, lead vocalist, session keyboard player, touring musicians, staff writer, producer and publisher is second to none. Stating in the 80's as an artist for Warner Brothers Records, Kurt toured, wrote, sang, co-produced and performed for millions of listeners world wide. Kurt joined the band Southern Pacific in 1986 around guitarist John McFee (Doobie Brothers), drummer Keith Knudsen and bassist Stu Cook (ex-CCR). They released "Zuma" in 1988, which included Southern's biggest hit, "New Shade of Blue," and "County Line" in 1989. Warner released a final greatest-hits collection in 1991. The year after, Kurt recorded his first (and till now only) solo album "Kurt Howell", a typical AOR album with a cool balance of beautiful balads and strong up tempos featuring contributions by Steve Lukather (TOTO), Michael Landau, Jerry Hey, Neal Schon, Michael Omartian... just to name a few. In 1995, Kurt formed Burnin' Daylight with Sonny LeMaire, formerly a member of 1980s country pop band Exile and songwriter Marc Beeson, who had previously charted a solo single on BNA Records in the early 1990s. At first, Burnin' Daylight was intended to be only a live band; however, the group sent a tape to Mike Curb, head of the Curb Records label, who signed the group in 1997. In April of that year, Burnin' Daylight released its eponymous debut album. They charted three singles on the U.S. Billboard country music charts, including a Top 40 hit in "Say Yes". Currently Kurt's production company is developing and signing artist for today contemporary marketplace. The Jazz Crusaders to Tito Puente, and many others. Beginning his studies on the alto sax at age 7, young Nieves also started a love affair with percussion, which seemed a natural step for him since he comes from a family of drummers. Adding lead vocals to his arsenal, a teenage Nieves took to the thriving San Diego music scene and soon he was in demand as both a sideman and leader. By his twenties he had worked alongside some of the areas top players including Jason Scheff (now with CHICAGO) and members of the popular smooth jazz group FATTBURGER. In 1981, Steve made the move north to the Los Angeles area and began touring and recording with a national R&B act. It wasn't long before he had his first major recording contract, signing with Motown Records in 1984 as the front man for JAKATA. That began a longstanding relationship with producer Steve Barri (responsible for signing STEELY DAN). He appeared on DAVE MASON's recording, "Two Hearts" (MCA Records), alongside Stevie Winwood and Phoebe Snow. 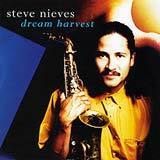 In 1998, Steve released his solo album "Dream Harvest" (JVC Records) which included both keyboardist Jeff Lorber and bass giant Abraham Laborial. In 1999, Steve and his longtime collaborators formed the group JANGO. Under Barri's guidance they released the album "Dreamtown" (Samson Records) which included a cover of Victor Feldman's "With Your Love" that went on to earn JANGO a nomination for "Best New Artist of the Year" at the 2000 National Smooth Jazz Awards. Their second release "Closer To Home" earned them a spot at Europe's famed North Sea Jazz Festival in 2001. The new millennium finds Steve as busy as ever juggling appearances with JANGO, as well as renowned guitarist/producer Chieli Minucci (SPECIAL EFX). In the summer of 2005, Steve was tapped for the Loggins & Messina "Sittin' in Again" reunion band. A DVD of the fifty-city tour is available online and at all major outlets. Since 2001, he has been a regular member of the Lao Tizer Band. Lao (another nominee for "Best New Smooth Jazz Artist") has just released his latest CD "Diversify" (Yse Records) which includes Steve on saxophone, percussion, and vocals. Steve can also be found on an upcoming release by southern California's latest entry into the smooth jazz world, Pro2Call. From Maui to Amsterdam and beyond, he continues to broaden his musical journey in fresh and exciting ways. 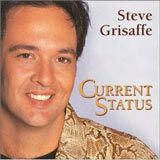 Steve Grisaffe was born November 26, 1965 in the rural town of New Iberia, Louisiana into a family with three siblings ranging in age from six to four. Mom was kept very busy by his siblings, so Steve was left in his crib with his electronic babysitter, the radio. Little did anyone know this would define Steve’s destiny. A swamp boy by nature, and a music fan by destiny, Steve began playing guitar at the young age of nine. This was partly due to wanting to escape from rural life, but mostly due to the Elvis Presley concert he went to in 1975. He saw all the screaming fans reactions to this man that bumped and gyrated on stage. To Steve, he appeared to be from another planet because of the effect he had on everyone including him. Immediately after seeing Elvis, Steve knew what he wanted to do with his life. He wanted not just to be a musician but one that left an impression on all that witnessed his performances. Steve’s first chance to perform was in High School in the early '80's. Influenced by bands such as Journey, Boston, ZZ Top, and Peter Frampton, Steve started a band called Eclipse. They performed at the local skating rink, parties, and High School events. Since the band members were too young to drive, Steve’s mother would drive the family’s red Cadillac with an orange U-Haul trailer attached, watch and wait while they performed, and bring them all home. Steve recalled that this was not exactly the “high class music idol’s tour bus” but effective all the same. After High School in 1984, and still playing music, Steve visited a local music store to check out a new guitar. He was seen playing the guitar and offered a steady gig on weekends to play country music. At the time, Steve had never considered country music but once he began playing, he fell in love with it and knew it was his calling. The next few years saw Steve playing in bands such as Boot Leg, and Bayou. Bayou’s lead singer at the time was none other than Trace Adkins. He also played bass with Louisiana’s legendary Sammy Kershaw up to 1989. While Steve was enjoying the opportunities to play with such would be greats as Trace Adkins and Sammy Kershaw, he knew he wanted more. So, in a garage in the little town of Maurice, Louisiana, his own great beginning was born. 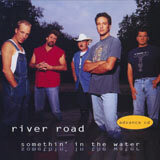 The band, River Road, was the joining of musicians from some of his past bands, but the beginning of Steve’s unique sound.The band began taking off in Louisiana and Texas. They made a name for themselves when in 1991 they placed second in the Nashville National Marlboro Country Music Contest. It was only a matter of time before the band received its big break. In 1994, with Steve as lead singer, they secured a development deal with Sony records under the production of Gary Nicholson (writer of "One More Last Chance" by Vince Gill and "Trouble With The Truth" by Patty Loveless) and Paul Worley, producer for such acts as The Dixie Chicks, Martina McBride, and Collin Ray. Now well on their way, Steve and the band got signed to Capital Records in 1996 which was in the production years of Scott Hendricks known for (Faith Hill, Brooks & Dunn, Allen Jackson and a total of 41 hits). 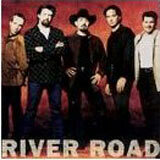 During this time, 1997, River Road racked up several accomplishments of their own; three Billboard national singles were charted. They were "I Broke It, I’ll Fix It" at #42, "Nick A Jack" at #38, and "Somebody Will" at #48. Hendricks then moved to Virgin Records Nashville in 1998 and River Road followed him under the production of Trey Bruce (Chris Ledoux). A single was released in 2000 known as "Breathless" peaking at #41. Without warning, after charting four national billboard singles, three Country Music videos airing on CMT and GAC, after performing in seven foreign countries for the USO Troops Tour, and many live national television appearances, Virgin Records dissolved and with it, Steve’s beloved River Road. Taking a much needed break from the road and performing, Steve came home to Louisiana and produced several Louisiana acts such as Warren Storm, six year old Cajun sensation, Hunter Hayes, and rising Country star Blake Luquette. While producing, Steve met record label owner Eddy Deloney of Ralph Records. This would prove to be a defining moment in Steve’s music career. With his hopes and dreams very much alive, Steve began working on his latest project, "Current Status" to be released in the fall of 2001. It is a self-expression of him as an artist and what music means to him. This C D will take you on a journey through all of life’s emotions, love, hurt, recovery, joy, and happiness. It is sung in the soulful unique sound Steve has accomplished and proven to make him one of the premier vocalist on a national level. After being out on the road for the last fifteen years, Steve has come home to his roots and to realize his destiny. He is destined to bring a unique memorable sound that he has created and was born within him from the electronic babysitter in his crib through the emotions and experiences of following his dream. Steve brings you his finest work ever. Luther Vandross is dead, Luther Vandross dies, Luther Vandross passed away. Luther Vandross died at the age of 54 on July 1, 2005 at 1:47pm EDT (1747 UTC), at John F. Kennedy Medical Center in Edison, New Jersey, from complications due to a stroke he had suffered in his Manhattan home on April 16, 2003. Luther Vandross was surrounded by his family and friends at the time of his death, and they said his passing was a peaceful one. 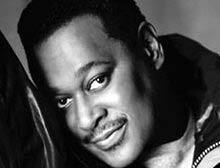 Luther Vandross (born Luther Ronzoni Vandross Jr.) (April 20, 1951 – July 1, 2005) was an African American R&B singer. Born in New York City, Luther Vandross started his singing career in the 1970s as a back-up vocalist for artists such as David Bowie (who discovered him and put him on his Young Americans album), Roberta Flack, Carly Simon, Donna Summer, Bette Midler, Chic, and Barbra Streisand. During the beginning of his career, Luther Vandross was content to remain mostly in the background, as a producer and backup singer for other artists. Eventually, Roberta Flack decided to push Luther Vandross into starting his own career because she believed that he was an incredible talent who deserved to be heard for his singing in addition to his songwriting and production. 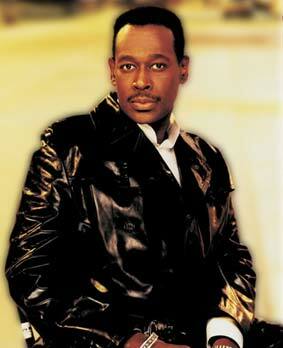 Luther Vandross eventually made his breakthrough as a guest singer with the group Change. Their 1980 hit, "The Glow of Love" and "Searching" led to a recording contract with Epic Records, and in 1981, he made his solo recording debut with the disc "Never Too Much." The album, which contained his aching rendition of "A House is Not a Home," became an instant classic. It was only in the 1980s that Luther Vandross' career skyrocketed, with albums such as "Forever, for Always, for Love" and "Give Me The Reason," and a string of successful R&B hits such as "Never Too Much". When Luther Vandross produced his 1989 greatest hits album, "The Best Of Luther Vandross...The Best Of Love," he ended up hitting the top ten for the first time with the ballad "Here And Now". More albums followed in the 1990s, beginning with 1991's "Power Of Love". Luther Vandross hit the top ten again in 1994 with "Endless Love", a duet with Mariah Carey and a cover of Lionel Richie and Diana Ross's hit song from the film "Endless Love". A second greatest hits album, released in 1997, compiled most of his '90s hits. Diabetes runs in his family, according to his mother Mary Vandross. His father, Luther Sr., died of complications from diabetes when Luther Jr. was five years old. Luther Jr.'s two sisters and a brother died before him also. In 2003, Luther Vandross released the album "Dance With My Father" in memory of his father. The title track, which was dedicated to the memory of the younger Vandross' childhood dances with his father, won Luther and his co-writer, singer Richard Marx, the 2004 Grammy Award for Song Of The Year. The song also won Luther Vandross his fourth and final award in the Best Male R&B Vocal Performance category, which he had also won in 1997 for "Your Secret Love", 1991 for "Here And Now", and 1992 for "The Power Of Love/Love Power". To date, "Here And Now" and "The Power Of Love/Love Power" remain arguably Vandross' best known solo hits. Luther Vandross was inspired by Aretha Franklin, for whom he eventually produced many albums. Vandross did many remakes of old songs, such as "Since I Lost My Baby" (originally recorded by The Temptations), "Superstar (Until You Come Back To Me)" (originally recorded by The Carpenters and most recently covered by Ruben Studdard), "Love Won't Let Me Wait" (originally recorded by Major Harris), "Always and Forever" (originally recorded by Heatwave), "Knocks Me Off My Feet" (originally recorded by Stevie Wonder), and "Lovely Day" (originally recorded by Bill Withers). Vandross also inspired his J Records labelmate, Ruben Studdard, the American Idol of 2003, who later updated Vandross' song "Superstar". Besides Studdard, Luther Vandross also inspired countless other artists (both male and female), such as Boyz II Men, Usher, Beyoncé, Alicia Keys and Brandy. It was with Beyoncé that he recorded yet another cover of a well-known song, "The Closer I Get To You" (originally recorded by Roberta Flack and Donny Hathaway). Another American Idol contestant, Scott Savol of the 2005 season, had an affinity for Vandross' music, and he sang three of Vandross' famous songs during that season of the show (including "Superstar" in the show's Cleveland auditions). There have been many questions regarding Vandross' sexuality, mainly due to his working relationship with producer Marcus Miller. Rumors have flown since the 1980s that Luther Vandross was gay. The rumors never proved to be true during Vandross' lifetime. The lifelong bachelor never had any children, but doted on his nieces and nephews. The entertainer said his busy lifestyle made marriage difficult; besides, it wasn't what he wanted. Another musician with a strong connection to Luther Vandross, saxophonist Dave Koz, did come out of the closet in 2004. Vandross was a featured vocalist on Koz's 1999 album, "The Dance". Luther Vandross is also credited with inventing the Luther Burger. Luther Vandross "Live at Wembley (1989)" DVD: ORDER IT NOW . Luther Vandross: Greatest Hits (Original Recording Remastered) CD (14 tracks): ORDER IT NOW .